At RISE Orientation you’ll connect with your campus but it’s also a chance to explore the neighbouring hot spots around Ryerson! Whether it’s running around during the RU Amazing Race or spending downtime strolling Toronto streets, there’s a certain whoa involved in becoming a part of Ryerson and Toronto. Delivering delicious lunchtime sustenance at RISE you’ll find Nando’s Flame Grilled Chicken, and Nando’s wants you to experience whoa as a reaction, visceral and exhilarating, and share that experience. Share your #NandosWhoa during RISE! And here’s their challenge for you! Whoa is a reaction. Visceral and exhilarating, Whoa is brought on by the sensory celebration of a Nando’s experience. Nando’s is proud of our legendary, flame-grilled chicken, but we’re so much more than JUST chicken. It’s the unexpected delights that differentiates Nando’s from other restaurants. It’s our collection of authentic contemporary South African art that inspires cultural conversation. 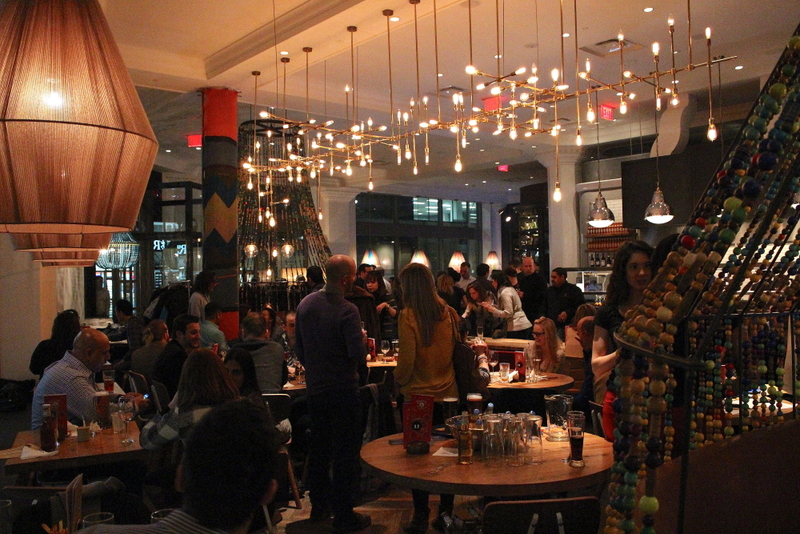 It’s the upbeat Afro-Luso music that showcases our roots and sets the atmosphere of our restaurants. It’s the smiling Nandocas that love what they do and make our guests smile. It’s all this and much, much more. With our Discover the Nando’s Whoa campaign, we’ve challenged fans of Nando’s to find and share these amazing elements of Nando’s. Guests are encouraged to snap pictures in our restaurants in exchange for daily prizes and potential real-time, in-restaurant rewards! Follow, tag, and use #NandosWhoa to get in on the challenge! Previous ArticleOverview of O-Week: Wednesday!Next ArticlemyApollo Welcomes New Students To Ryerson!